With healthy self-esteem, your child will flourish. In an era where kindergarten is the new first grade, children are being pushed to develop academic skills from an early age. Yet all the intellectual skills in the world are of little value without the confidence to put them to use. This is why, as a parent, we should prioritize building healthy self-esteem and confidence first and foremost. As a parent, our words become the internal language in the minds of our children. We know that our kids are capable of so much — let your words match this belief. Avoid saying things like, “You are going to hurt yourself” or “Don’t fall.” Our tone and language should communicate confidence. Sometimes we need to notice things aloud. That means to let them know when we see them being brave. When we notice our kids being brave, they start to notice too. You know that they have the skills and means necessary and your vote of confidence will give them that extra boost they need to succeed. As the parent, you have faith in your child’s ability. When you openly communicate that faith in them it will inspire it within themselves. When the going gets tough the obstacles can seem insurmountable. So this direct phrase will tell them exactly what they need to hear — acknowledgment that this is hard work and that they are capable. Our children need to hear words that communicate unconditional love. That means providing reassurance of our love — regardless of the outcome. Sometimes we all need a helping hand and be sure they know that you will be that hand when they need it. Take it one step further than just noticing their effort — ask them to elaborate. Then hear the the pride in their voice when they explain. When they get really stuck, don’t be afraid to offer your support. Let them know that the offer to help is on the table. We will never win it all, do it all, or be it all. But we can give it our best. Let’s teach our kids this lesson. It can seem overwhelming, but let’s give them evidence of when they have been successful before. This will instill the confidence that they can do it again. It doesn’t matter what the outcome — they need to know they are enough just the way they are. Straight and to the point — you can never tell your child this enough. Feelings like frustration, anger and hopelessness are all common human emotions. And despite these big feelings we will stand by the side of our children with unconditional love. Try to evoke curiosity and a new way of thinking by wondering about the possibilities. Kids love learning new words. Teach them about grit, resilience and perseverance to help them reach towards these goals. Share stories with your kids. Tell them about times when you overcame obstacles, met your goals and reached for the stars. Challenge your children with things they think are beyond reach (even if it sounds a little crazy). They might surprise you and themselves. Young children tend to cling toward people and environments that are familiar. But if we emphasize how exciting and joyful that new experiences can be, we can encourage the confidence to venture out of the comfort zone. When we see them working hard and giving it their all, we can recognize this effort. After all, life is about the journey, not the destination. Encourage curiosity and exploration in children of all ages. As a result, they will be more likely to seek out new information and experiences with confidence. The path to growing up is filled with stumbling blocks and learning experiences. When we parent without shame, we help our children to use these mistakes as learning experiences. Start the conversation about growing, changing and taking risks. With each challenge and accomplishment, the sense of self-esteem will grow. Positive affirmations are powerful — they can rewire the brain. When we teach our children to use positive affirmations from an early age they will reap the benefits as they grow. Encourage self-esteem in your children so that they grow up to make confident decisions. Being confident will allow your children to get back up after being knocked down by something not going their way, such as not making a sports team or getting a bad grade on a test. Give your children options. Choosing from options helps children learn to make their own decisions at an early age. Assign age-appropriate tasks. Ask your children to help around the house to teach them to contribute to their team. Let your children dress themselves. Let them use their skills to complete simple tasks like picking out an outfit or buttoning and zippering their clothes. Refrain from praising your children. It’s great to let them know when they do something awesome, but instead of telling them how great it was, tell them why it was great. Include the details of why their painting is spectacular or why you appreciate how they did their chores. Let your children see that you enjoy spending time with them. We all have busy, hectic lives, and sometimes we forget how important our affection is to our children. Plan weekly time with your child and plan the things you will do together each week. Consider visiting the local library, going on nature hikes or cooking a new recipe. Planning a specified time will give you and your child something to anticipate each week. What are some ways that you try to boost self-esteem in your child? Chores are a valuable life activity for everyone. They help fulfill our basic need to feel needed and contribute to our household. Helping others, and doing a good job at it, helps boost children’s self-esteem, while making them feel more confident, competent and valuable. However, getting children to put down the toys, turn off the television and get off the couch to help clean, declutter and spruce up the house isn’t an easy chore in itself! Here are some great ways to motivate children of any age to consistently get their chores done, while minimizing the moaning and groaning. Keep a list of chores for every member of the family—even mom and dad. This helps children see that no one in the house is exempt from doing their fair share of the housework. If they see in black and white what mom and dad do each day, their chores may seem like less of a hassle. Don’t expect perfection. When introducing a new chore, show your child how it is done first and then let them do it their way. It may not be exactly how you’d like it to be done, but at least they’re making an effort. Don’t step in and take over or redo the chore after they have finished. Next time, offer some tips on how to do it better. They’ll learn eventually and be encouraged to keep up with it. Time it! If a chore is assigned, give a time frame for completing it. If not, your child may realize they can put it off until you or someone else takes care of it. When a chore is completed properly and on time, offer appreciation and praise for your child’s diligent follow through. Throughout 2010, bullying has been on the rise at all levels of education. 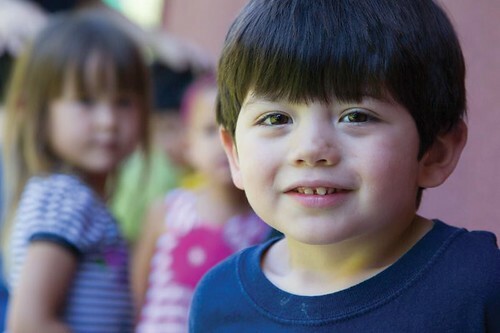 In an effort to combat this growing problem, the nation’s leading preschool franchise, The Goddard School, is reaching out with a renewed vigor to help families discover the benefits of playful learning at an early age and how it can prevent bullying. With their proprietary FLEX™ Learning Program, designed to build children’s self- confidence through play, The Goddard School hopes to break the cycle of bullying and halt a national trend. According to Dr. Kyle Pruett, a child psychiatrist, published author, and advisor to The Goddard School, the success and enjoyment that preschool children experience through playful learning can help develop self-confidence. 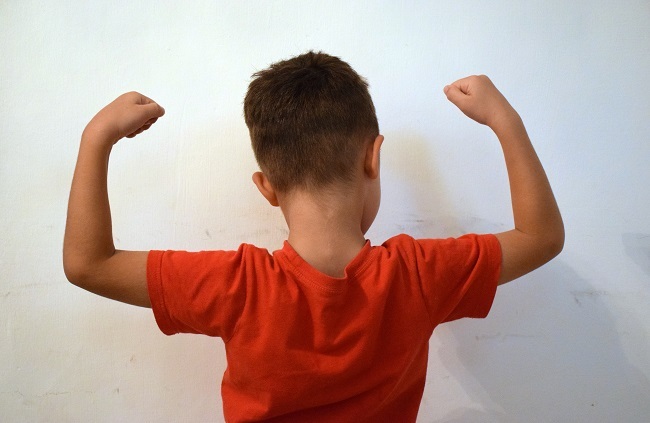 Confidence, along with strong parenting and learning to interact in a social group, is an important factor in helping children stand up to bullies. Playful learning has been at the heart of The Goddard School’s core curriculum from the beginning. This approach to learning, which helps introduce children to new skills in a playful and engaging way, is supported by a growing body of research from Play for Tomorrow, the consortium behind the respected playful learning movement. To jumpstart this initiative, The Goddard School will be hosting the Goddard Community Games event February 5 in communities across the nation. The focus will be on fun and enrichment, but also teach children about playing well with others and accepting each other’s differences. The event will also give families across the nation an opportunity to join with their children in playful learning programs selected from The Goddard School’s enrichment curriculum, including Sign Language, Yoga, Nutrition and “Rock ‘n’ Tot” pre-dance and creative movement. To learn more about bully prevention in preschool and beyond or The Goddard School, visit http://www.goddardschool.com/games.